City in Catalonia, Spain; had Jewish inhabitants in the thirteenth and fourteenth centuries. It was the birthplace of David of Bellcayre, the richest Jew of Barcelona, who owned in the ghetto of the latter city the finest houses, with eight large stores. In 1391 he accepted baptism, changing his name to Michael Lobet; a family of the name of Lobet still lives at Barcelona. 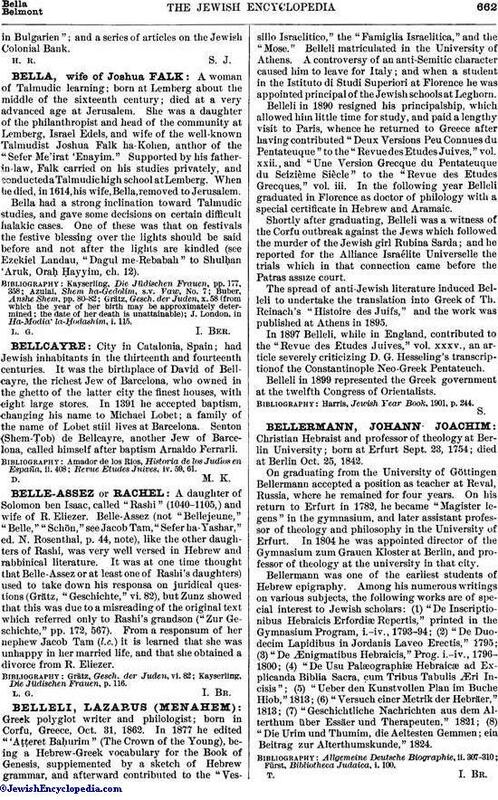 Senton (Shem-Ṭob) de Bellcayre, another Jew of Barcelona, called himself after baptism Arnaldo Ferrarli. Revue Etudes Juives, iv. 59, 61.